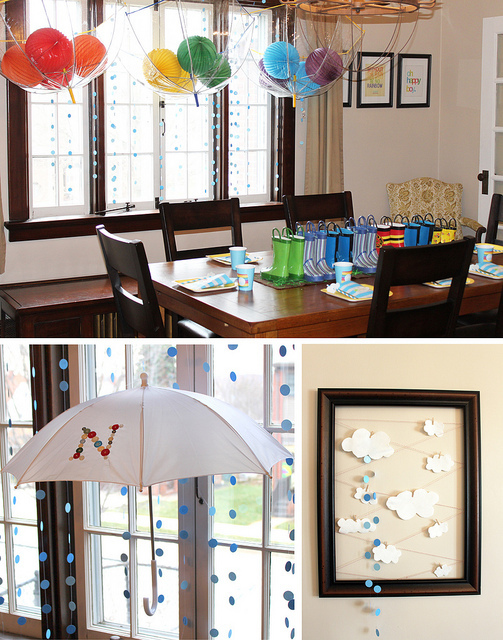 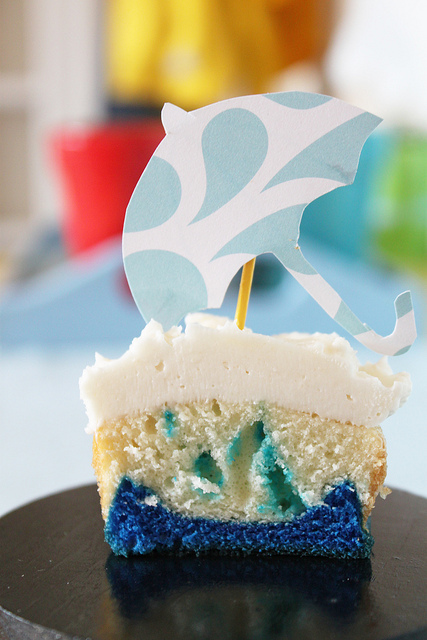 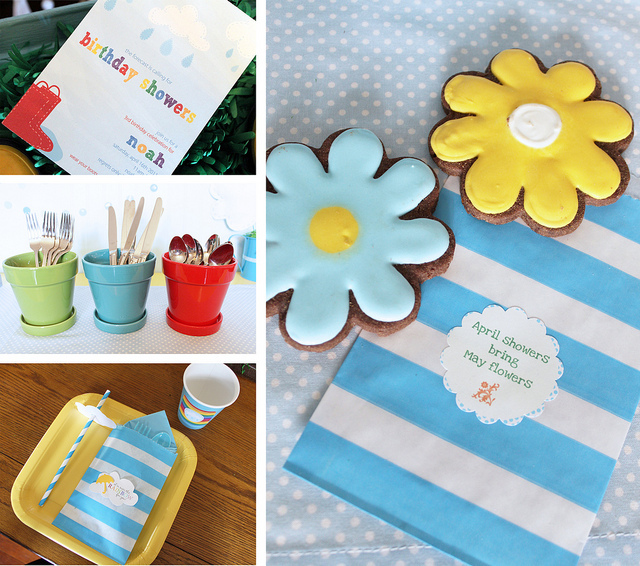 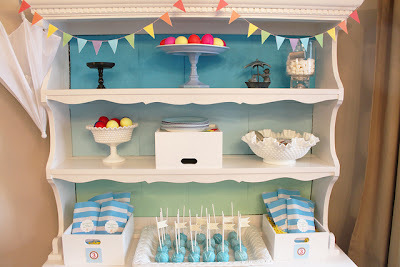 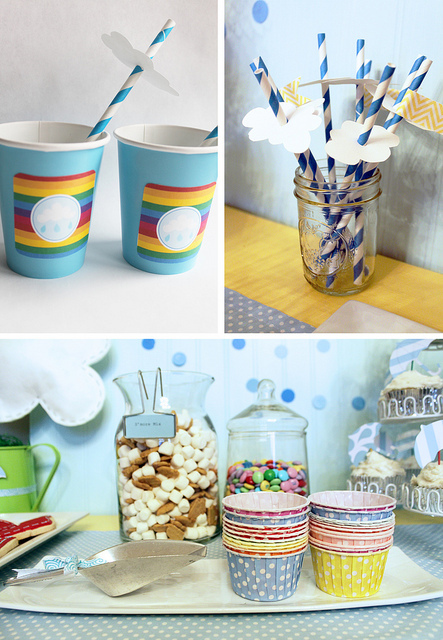 I love this party found via Pen And Paper Flowers blog!! 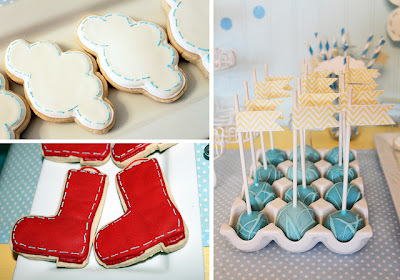 It is so original and creative that it just makes me smile. 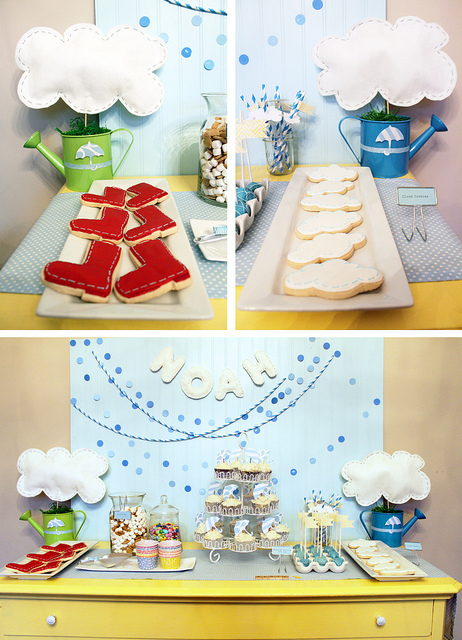 The colour palette was rainbow and raindrop, blue & wellie red. 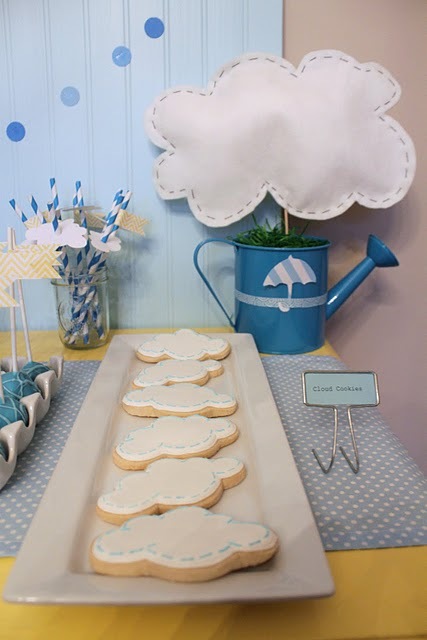 There is so much detail throughout this party, I just love the dessert table and especially the cute litte cloud cookies.